A parent’s remarriage can be a confusing event to a child. In many cases, the child forms an unbreakable bond with the new stepparent, and the issues of name change and adoption may arise. This situation commonly occurs in families in which the child has little or no contact with one of the biological parents or paternity has not been established and the stepparent wishes to adopt the child. File a petition with your county's Clerk of Court that states your intent to change the child's name and shows acknowledgment of procedure and laws governing name change of a minor child. 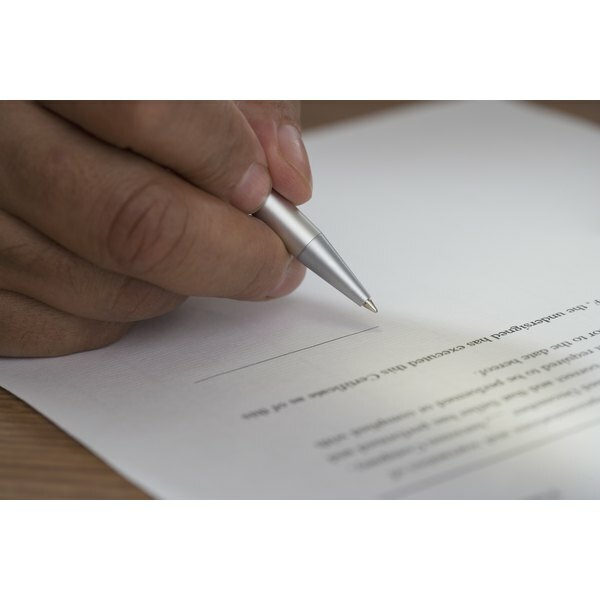 Sign consent and acknowledgment forms in the presence of a notary public, and have the forms notarized to make them legally binding in the state where you reside. The Clerk of Court provides these forms when you file your name change petition. Forms can also be downloaded from your state government’s website. During the name change process, an attorney is not needed or required, but you may hire one if you so desire. File all forms with the Clerk of Court. Make sure that all forms submitted are filled out completely and that you retain copies of them for your personal records. Request that all documentation stating the intent of name change be served to the other biological parent. Contact your county's probate judge or local sheriff's department to accomplish this task. In some states, the Clerk of Court will do this once your petition has been filed. If you are unable to locate the other parent, place an ad in your local newspaper's legal section that commands the parent to answer your petition within 30 days. Schedule a hearing with the Clerk of Court once the 30-day answer period has expired or the other parent has filed an answer with the Clerk of Court. Gather all paperwork necessary for the court hearing, such as your marriage certificate and the child’s birth certificate. DNA paperwork that establishes paternity should also be taken with you, along with proof of child support, paid or unpaid. File the final order once you are granted the name change. Request a copy of the order for your records and for filing with the Social Security Administration and your state's vital records department. You can have the child's name legally changed on his birth certificate as well, but it is not mandatory.